Strong down tide start so made sure we definitely weren't OCS this time. 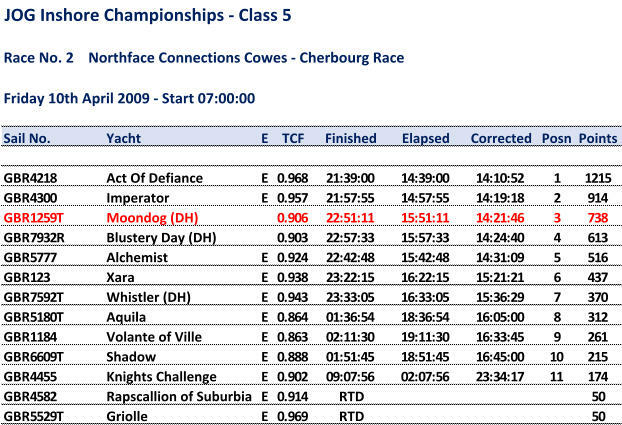 Pretty good beat down the Solent and close to the front through the Forts but the fleet bunched up at Bembridge before heading off across the channel. Cold and wet crossing but got the tack mid channel pretty much on the button with the tide change and tracked into the finish for a 3rd overall / first two handed.